WPA Art Auction — Art. At Work. The WPA Auction Gala is WPA's most important fundraising event. Guests include more than 600 artists, collectors, arts professionals, and business leaders. The event supports WPA's mission to promote contemporary art and artists in the greater DC metropolitan region. Proceeds from the sale of art are split equally between the participating artists and WPA, supporting WPA’s free programming all year round. Judy was asked to curate a unique collection of sculptures for various tables throughout the exhibition that contributed to the night's overall theme. 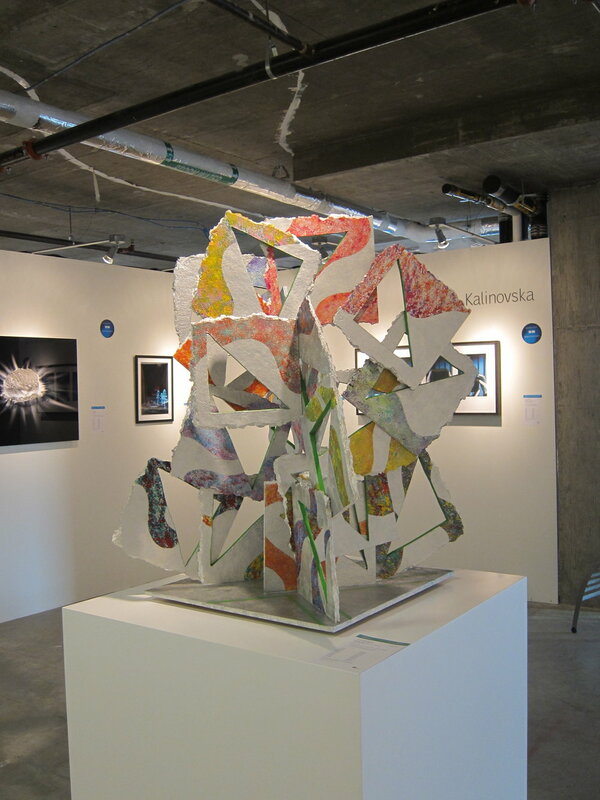 Ten artists were selected to create numerous sculptural pieces. The intent was to select work that was whimsical yet vibrant and strong. The use of various sculptural materials, traditional, non traditional, and everyday objects, along with each artist’s unique form, created an eclectic and dynamic mix. Four artists were selected to create six sculptures each. These works explored the interrelation between space, volume, depth, and materials.